Season 11 is nearly over. How was Nothing Lasts Forever? I have to admit that the more faith-driven and/or religious episodes of The X-Files have never been my favorite. I don’t condemn religion by any means, but specific to The X-Files, these particular episodes are full of diminishing returns. It is unfortunate, then, at least for me, that the final standalone episode – maybe ever – is built around faith and the desire for eternal youth. 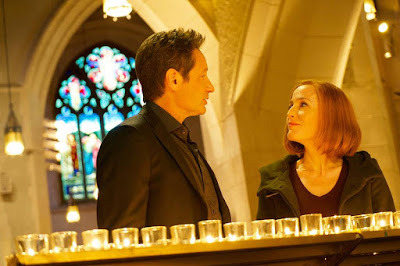 Much like Mulder’s (David Duchovny) pursuit of his sister (thankfully absent from this run of episodes, at least to this point), Scully’s (Gillian Anderson) reasons for believing in God hold no interest for me. 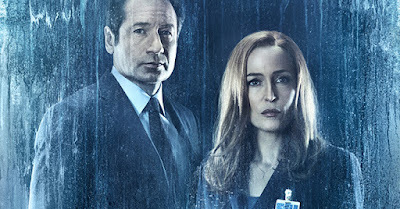 We’ve heard it a dozen times over eleven seasons, two movies and twenty-five years of The X-Files. Unfortunately, Nothing Lasts Forever beats this dead horse with a stick again, hammering in points of which we’re already aware. Scully believes in God, Mulder doesn’t; Mulder believes in aliens, Scully doesn’t. Both of them, however, believe in one another. Written by Karen Nielsen and directed by James Wong, Nothing Lasts Forever is a weird hybrid of ideas that never fully pay off. It’s also unnecessarily gory, which I usually do not have a problem with, but here felt out of place. The gist is that cult leaders are harvesting and eating the organs of their would-be followers to preserve their youth. There’s also a storyline involving the sister of one of the followers who is enacting her own form of justice against the cult itself. It’s a pointless B-storyline that adds to the episode’s many frustrations. I wish I could say I’m optimistic about the end of this season, but knowing that this is the final standalone episode before Chris Carter’s likely abysmal My Struggle IV next week, I wish that this one ended on a high note. Instead it feels like a poorly plotted mess of ideas that don’t amount to anything interesting. You could say, in other words, that an episode about faith has robbed me of mine.